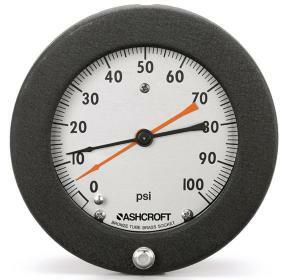 The Ashcroft® 1339A duplex pressure gauge is used for pressure measurement of two independent points. An easy solution for users seeking to reduce system complexity and cost, this model provides high reliability and performance. An ideal product for satisfying critical installation requirements.